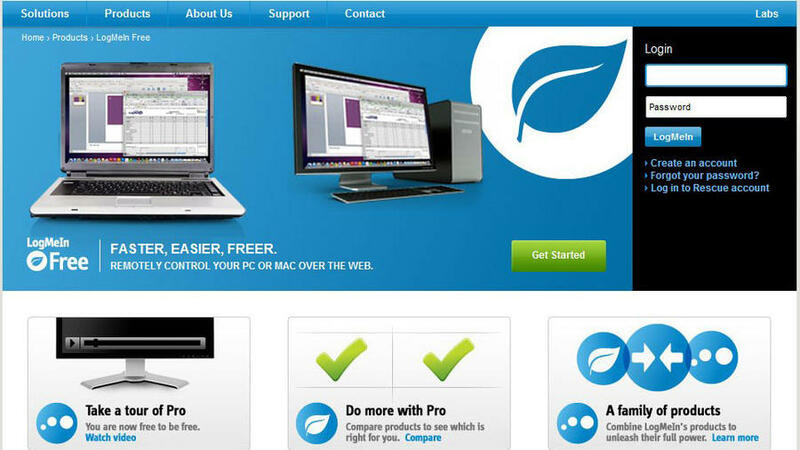 Go anywhere and do anything using free remote access to any PC or Mac from LogMeIn Free. Live your life your way - secure in the knowledge that you're never farther away from all your information than the nearest internet connection. How many times have you wished you could just get your hands on your computer - whether to access a critical piece of information, update a file, show a friend your most recent video or offer IT support? Well, with LogMeIn Free you can put that feeling behind you forever. The application provides free remote access to any PC or Mac through the cloud. So now you can get to all your information, applications and files from anywhere, at any time, as long as there's an internet connection. Getting started is easy. Users first download and install the free LogMeIn client software on each computer they want to connect to. It doesn't matter if you own a desktop, a laptop or both, and it works with all versions of Windows or Mac OS X. From there, one simple website login is all it takes to connect from any public or private computer, and access your files, applications and media as if you were sitting in front of your remote PC. Making the connection is easy and doesn't require the user to tinker with router preferences, port forwarding or other messy network settings - it all "just works." Best of all, LogMeIn can take advantage of whatever internet connection is available - Wi-Fi or cellular, including 3G or fast new 4G LTE data speeds. Data security is always a concern whether you're travelling or not. Users can feel safe knowing that LogMeIn takes advantage of the same powerful 256-bit SSL encryption used by major online banks, protecting you from initial log in until it's time to log off and call it a day. LogMeIn Free also includes the ability to cut, copy and paste text between remote and local screens, map keyboards so you'll be right at home on every computer you use and even supports multiple monitor setups. LogMeIn Pro takes the same great experience available in the basic version, but adds an additional layer of features squarely aimed at true road warriors. File Manager makes it easy for users to transfer large files or even entire folders between remote computers, where they can be saved locally - perfect for making sure a forgotten presentation slide or other document doesn't spoil your next big meeting. 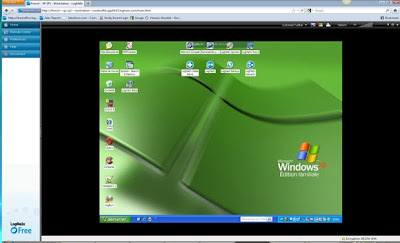 Pro-enabled Windows and Mac computers also enjoy HD video and audio streaming over any internet connection, and remote files can even be printed locally with ease. Available on Windows or Mac with an annual, six-month or three-month in-app subscription upgrades for iOS, LogMeIn Pro takes remote control of your computer to a whole new level. Once that's done, you simply log in through the LogMeIn website and access the remote computer. You'll feel like you're sitting right in front of it no matter where you are and no matter what you're doing. It turns out, all this freedom will make you more productive since you are no longer 'away' from your computers. People have used Free or Pro to provide support for their friends and family, run their small business and to work from home. Because it's not just about access. It's about accessibility.